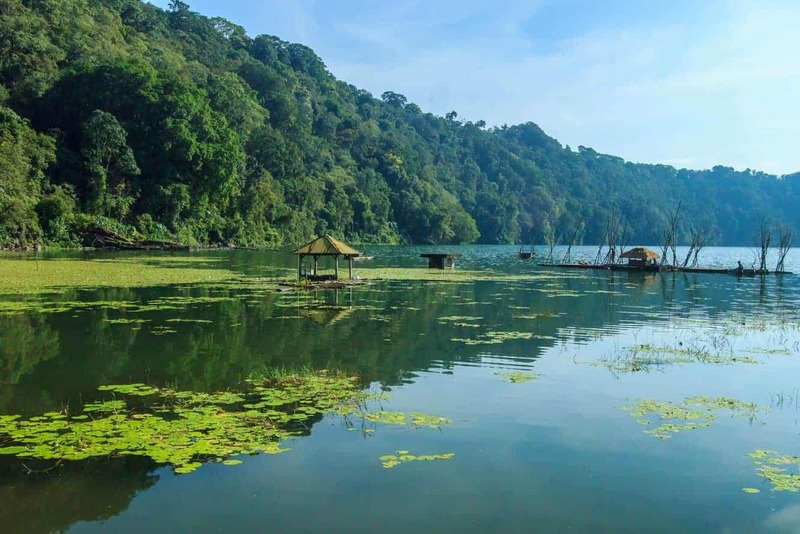 Lake Tamblingan is one of Bali’s hidden treasures; a serene getaway with lush vegetation and undefiled nature which gives visitors the ultimate tranquil experience. The lake is tucked away in Munduk village, Banjar in Bulelemg regency. It is not an expansive lake and covers just about 0.5 miles squared. 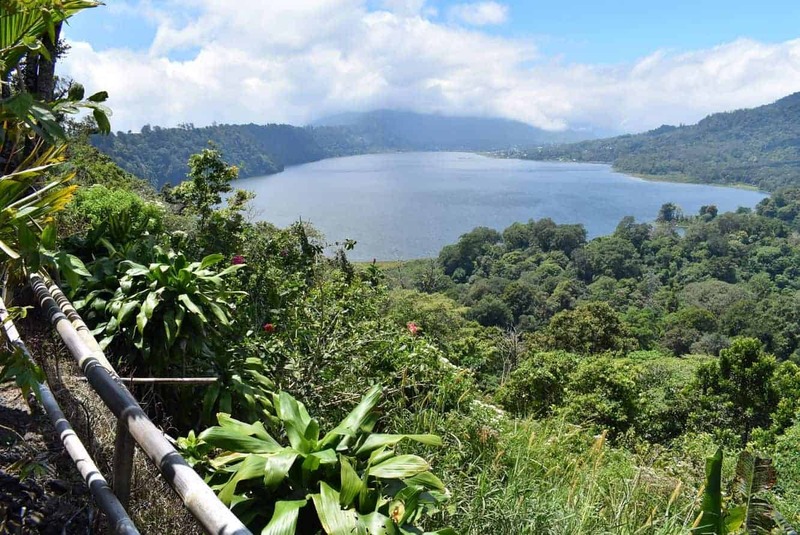 What makes this lake stand out is the fact that the Bali government has taken precise measures to conserve the natural environment of the lake. In line with this measures, visitors must note that motorised water vessels are not allowed on the lake. In place of these, traditional boats are available and these boats can be rowed with the help of the locals for a small fee. You can see the lake from he top of the surrounding hills and so even if you don’t make it down to the shoreline of the lake, you can get some amazing views from the local stalls which sell coffee and snacks. 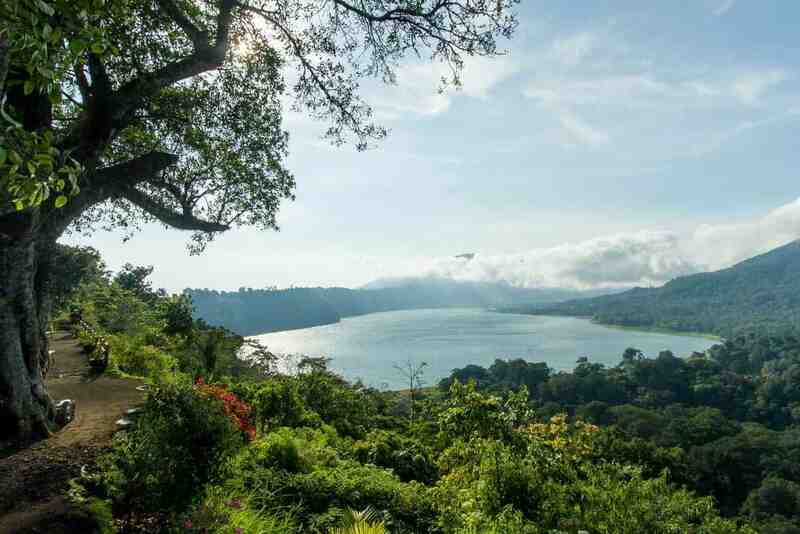 For those who would like to explore the tropical rainforests, you can also go hiking in the hills surrounding the lake. 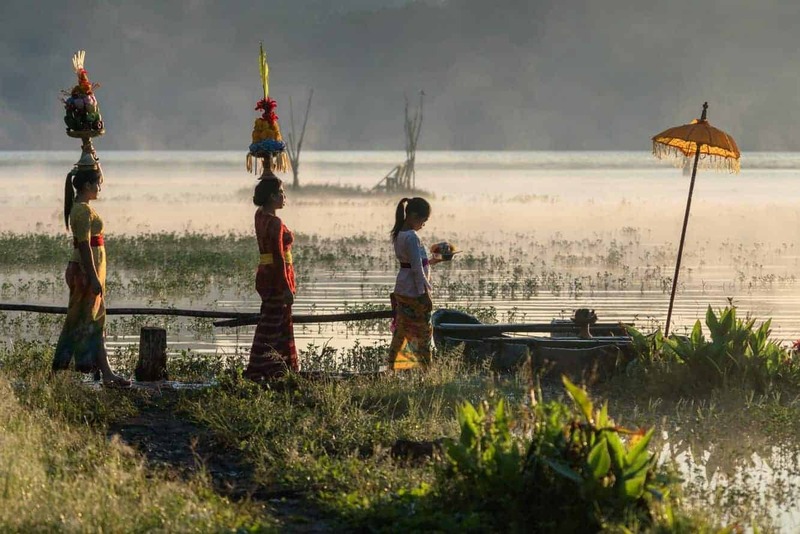 Hire a local guide who will be able to show you the best ways through the jungle and there is plenty of accommodation around, so if you would like to spend a few days checking out the various treks, you can take a 2 or 3 day tour in this area. A short 2-3 hour trek will only cost between 300,000 – 500,000 IDR. There are two routes to get to Lake Tamblingan. 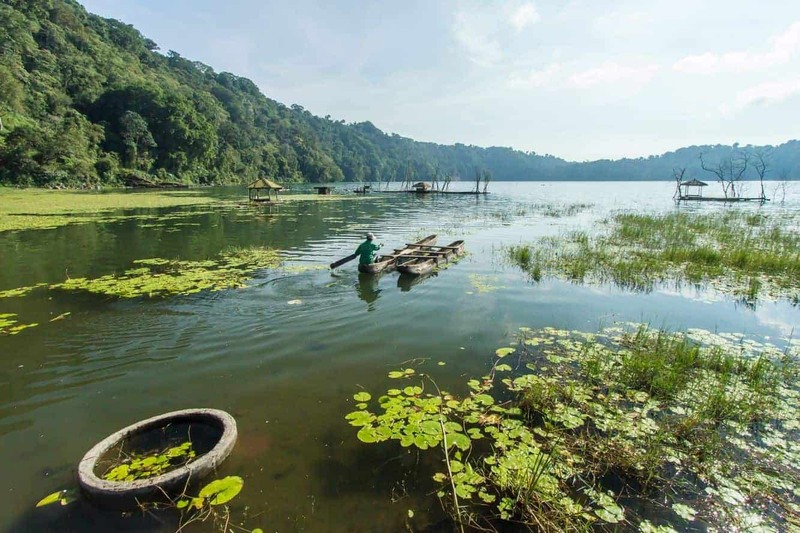 The first takes visitors past Lake Bedugul up to a gate that ushers you through to Tamblingan. The second route takes visitors above the first. 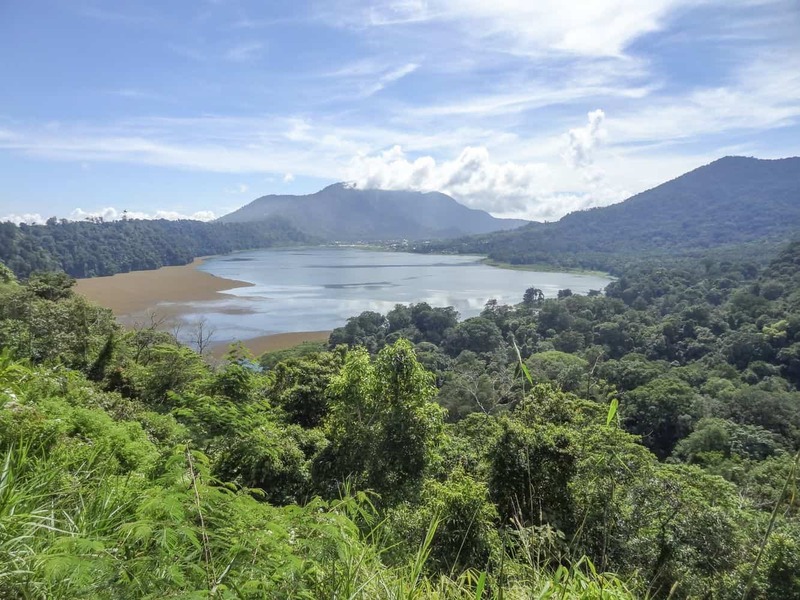 Drive past Lake Bedugul to a three pronged road and take a turn to the left. This route gives panoramic views of both lakes, and is an excellent vantage point.